The dirty secret to success in the garden is having great garden soil. It usually doesn’t happen naturally, it takes a little time to build great soil. There are a few steps you can take to improve your soil and make it grow beautifully for you. It doesn’t matter if you grow in raised beds or in the ground, your soil will make or break your garden. Plants need three things, water, sunshine, and soil. These three things must be balanced. Too much or too little water and you won’t have success. Too much or too little sun and you won’t have success. Plants are pretty forgiving and know how to adapt somewhat, but there are some things that have to happen for a really successful vegetable garden. Garden soil is the most important ingredient in growing success. 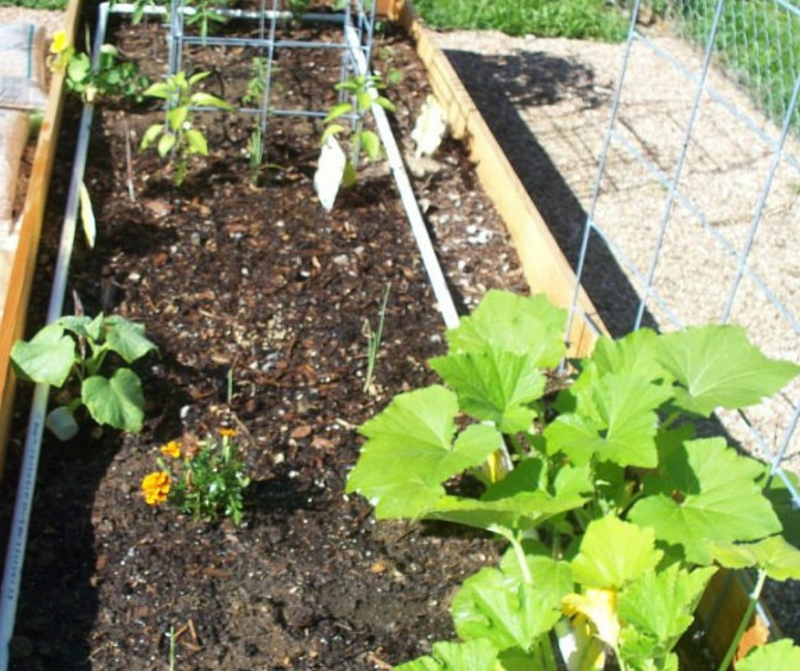 There are three basic things soil needs to make a successful garden. There are obviously nutrients and micronutrients that make a difference too, but if you have healthy soil, it will help you balance the rest out. Great garden soil needs good structure. If garden soil has too much clay, it won’t allow air to the roots of your plants and it will also hold water against those roots which cause them to rot. If you have too much sand in your garden soil, you will not be able to hold enough moisture for the roots of your plants. You will also not be able to keep enough nutrients in the soil to feed the roots. If you have too much silt in your soil, (silt is the superfine particles that don’t hold together and it’s the best kind of soil to have of the three) you won’t hold as much organic matter and it easily compacts making growing difficult. The key to great garden soil is a balance of these three and a ton of organic matter. 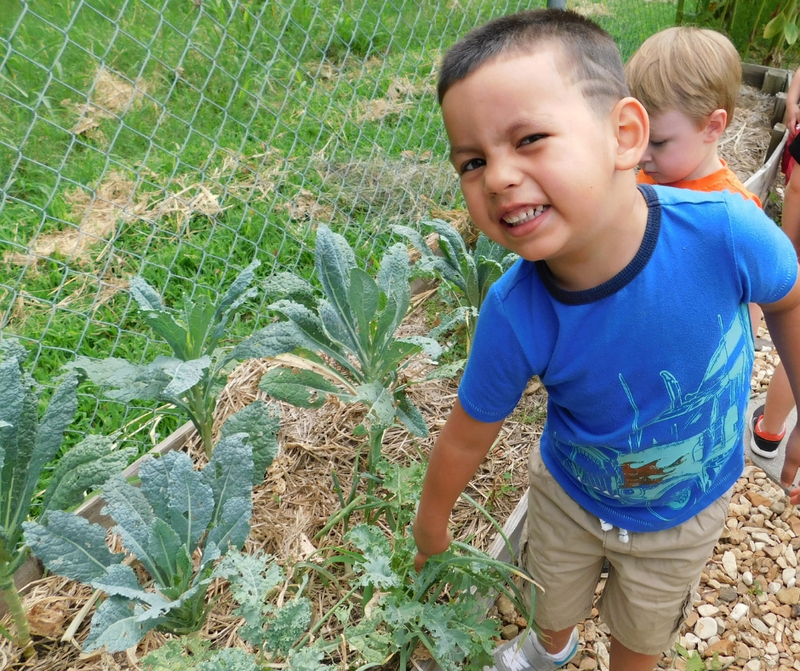 Why do we need organic matter in our garden soil? Because that’s what provides the nutrients to the roots of the plants. To see how much of each your garden soil has, take a mason jar and fill it with water and a couple of scoops of your soil. Shake it up to mix it well. Let it sit, undisturbed for 24 hours and then check it out. The bottom layer is the sand, the heaviest large particles fall to the bottom, the middle layer is the clay, and the top layer is silt. If you’re layers aren’t fairly even, it’s time to work on fixing that. What’s the best way to amend the soil you have to make it better? Organic matter! Compost is nature’s best recipe for making better soil and it’s best to get it from a variety of sources so you’ll have a variety of nutrients. 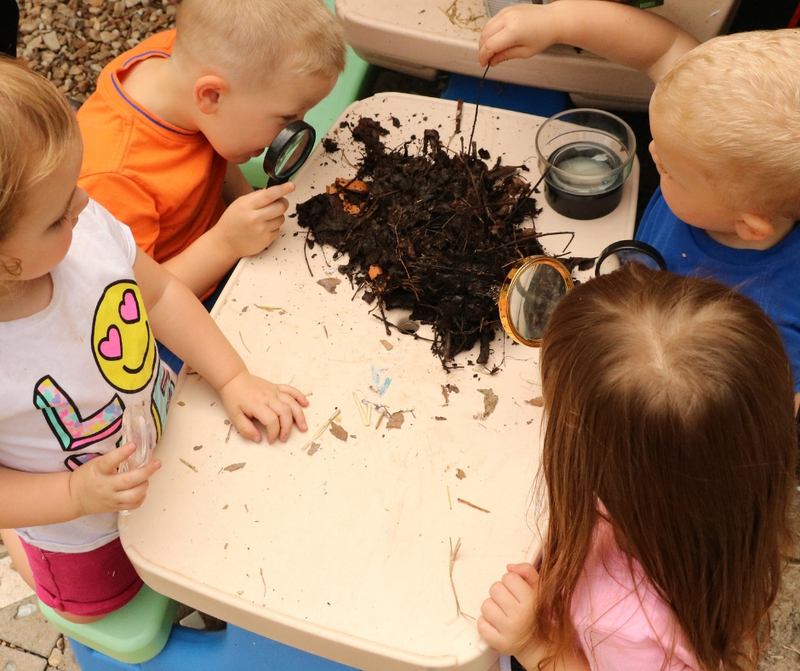 What causes soil to go from healthy to unhealthy? There are several things that harm soil. Compaction or pressure pushing down on the soil destroys its structure. This can be caused by walking or kneeling on the soil, but it can also be caused by rainfall. This can be prevented by mulching your garden beds well. Another thing mulch can prevent is erosion. We lose a ton of soil to water and wind if we don’t keep it covered. As the mulch breaks down, it adds even more nutrients to the soil. Excessive handling of the soil can also cause harm to it. Tilling, cultivating, or moving soil too much can damage the beneficial microbes in the soil that keep soil healthy for growing. Excessive sodium is another harmful treatment of garden soil. This comes from overuse of commercial fertilizers such as miracle gro. These cause sodium to build up in the soil and makes it less healthy for growing. Fertilizing with organic matter such as compost, worm castings, or other natural materials helps build the soil health instead of breaking it down. How do I improve the health of my soil? Keep it undisturbed. When you finish your garden season, just cut the plants off at ground level and leave the roots in the ground. They will break down and add nutrients to the garden soil. When it’s time to plant the next crops, just dig a hole in your soft loam soil, don’t till a big area that doesn’t need to be turned over. If you layer your mulch over and over again, you’ll attract worms that will do the magic under the ground for you. Worms are a gardener’s best friend. They aerate the soil and leave nutrients wherever they go. Keep it covered. Your soil will retain more nutrients and moisture if it’s not exposed to the harsh elements. Cover it with a layer of leaves or wood chips and the beneficial microbes, insects and worms in the soil will work hard underground to make your soil structure awesome and spread nutrients around to the roots of your garden plants. Rotate crops. Each garden season, plant a different family of plants in that area. If you planted zucchini last year, put some beans or tomatoes in that spot this year. Different families have different nutrient and soil structure needs and they also do different things to the soil structure. Rotate each plant type to a different area each season. Add organic matter. Continuously add compost, old leaves, wood chips, worm castings or well-composted manures to your garden soil. These give rich structure to your soil by keeping it from compacting, allowing air to permeate, adding nutrients and improving soil’s ability to drain as well as hold moisture. Compost is your garden’s best friend. Don’t step on the soil. Compacting the soil damages the structure and harms the beneficials that the garden soil contains. Keep the weeds out. Weeds can steal valuable nutrients and moisture from the plants you WANT growing in your garden, so make sure to weed early and often. If you are gardening in the ground, you can continue to add health to the soil with the techniques I have mentioned, but if you are building a raised garden bed, how do you start the soil structure? Do you dig up soil from the yard to use? Buy topsoil? Use potting soil? 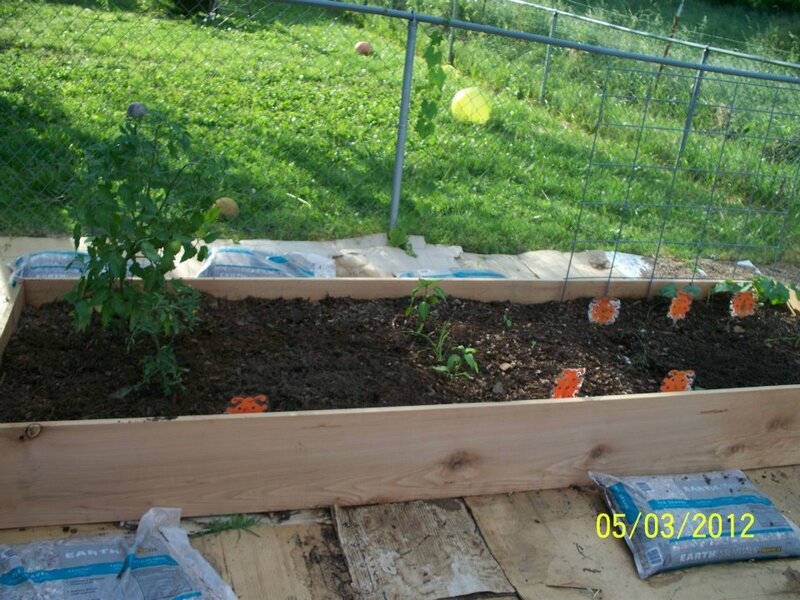 Raised garden beds have some unique challenges such as holding enough moisture, but they also have benefits such as draining when the ground is saturated with too much water. You can control the garden soil that is in the raised garden beds more efficiently and they have fewer weeds in general than in ground garden. Start raised garden bed soil with 1/3 organic matter, such as compost, 1/3 vermiculite or soil lightening substance such as coir, perlite, sawdust, or wood chips, and 1/3 peat, or pine needles, paper shreds, or food by-products such as rice hulls. Each of these products has a purpose in the mix. The organic matter adds nutrients and helps garden soil retain moisture. The vermiculite helps with drainage and allows the soil to be aerated so the roots can breathe. The peat helps the drainage and keeps the soil from compacting around the roots of your plants. If you start with a good quality mixture for your garden soil, you will be able to continue to add compost every year and have a loose, loamy garden soil that is perfect for planting. Should you get your soil tested for nutrients? Yes, you should! Never add nutrients or micronutrients to your garden soil just because. Always do a soil test first to see what is needed. Too much of a good thing can cause a problem as well. You can get your soil tested at your local extension office or mail it into soil testing facilities like this one. Building great garden soil is the number one key to gardening success whether you are growing in the ground or in raised garden beds. It’s the number one key to gardening success whether you are growing food or flowers. 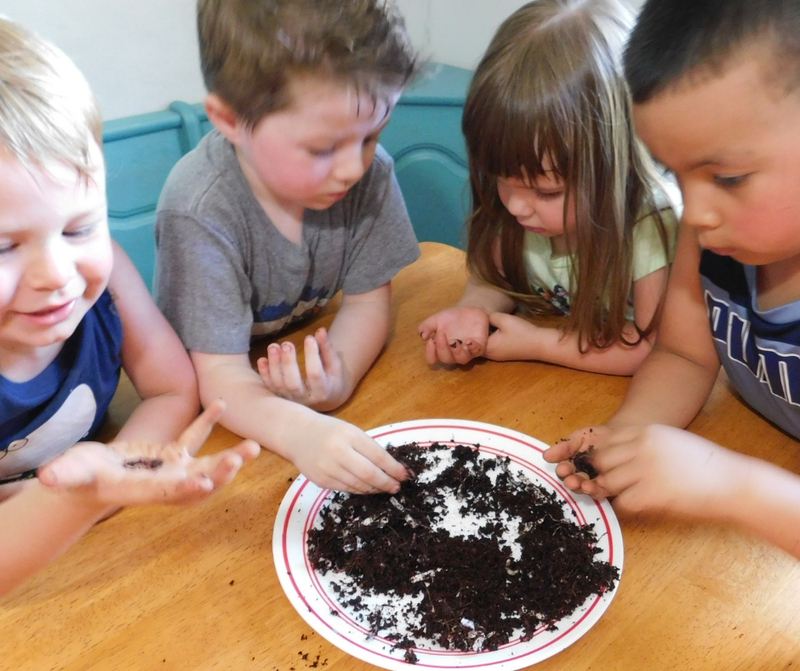 Soil is the beginning of your journey to a green thumb.